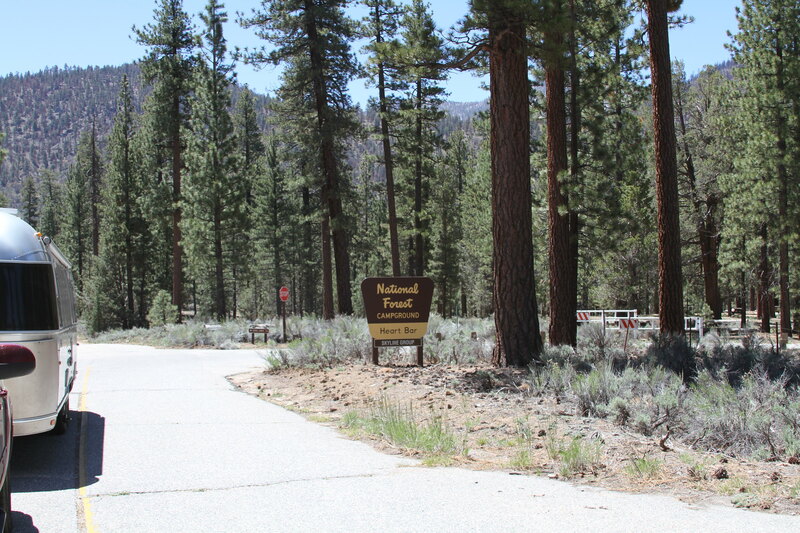 We thought we would take a weekend trip up to the mountains to get away from the dreaded beach so we picked San Bernardino National Forest to head towards. We use a few different sites when searching for a new neighborhood, AKA campground, Campendium being our top choice and then we look to TripAdvisor sometimes. 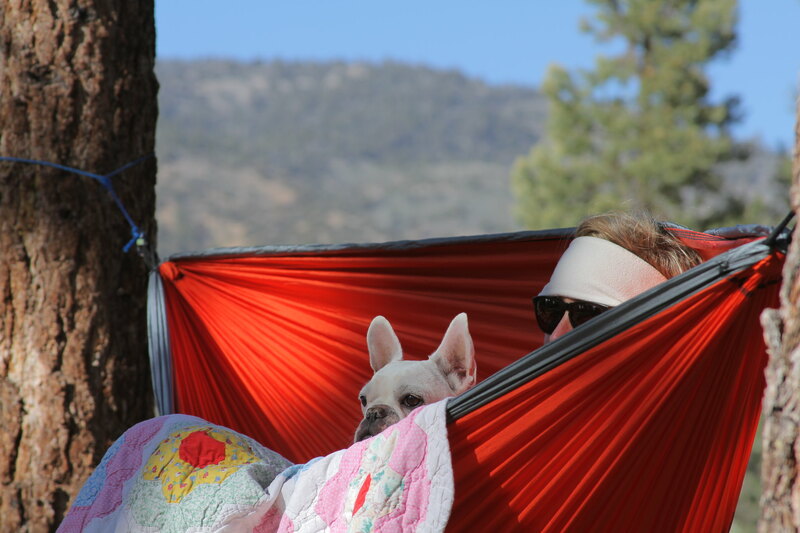 The reviews for this particular campground were fantastic so we hitched up and headed out! One thing my dad reminded me of before we hit the road full time was how hard it’s going to be on the Tahoe to pull our house through the mountains. As always, he is right. I can say that the Tahoe is doing better than expected which is nice. It had a good tune up before we hit the road, thanks to the kind folks at Master Lube, so we feel confident in the SUVs ability to pull through some tough terrain. We (meaning Mr. TCP), does check the fluids often and other important mechanical things that should be checked often. 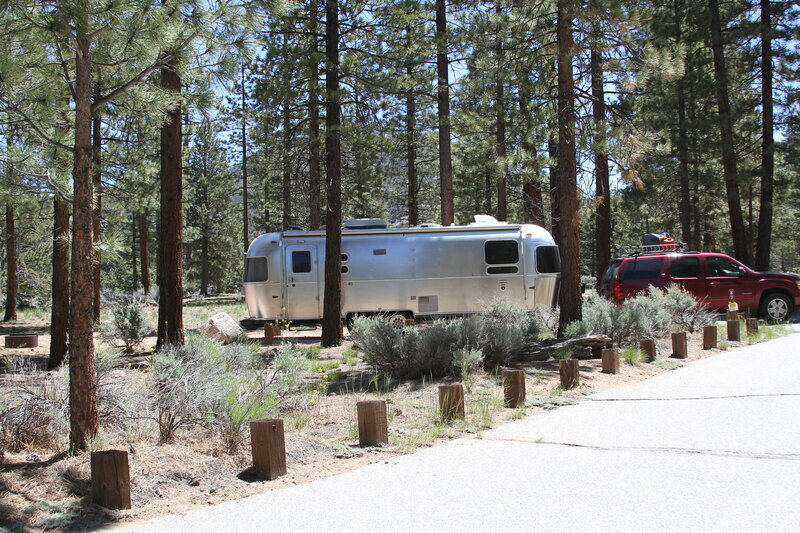 The campground didn’t require reservations so we pulled in and found a sparsely populated loop and staked claim on a site with vast views and plenty of roaming space. There was PLENTY of trees to pick from to hang the hammock. In my book, that is a win! Oh, and we also made our first campfire that weekend too. Apparently they were having a cold front up on the mountain. The low at night was 28 degrees Fahrenheit. When it’s that cold outside it gets COLD inside the Airstream too. We weren’t really prepared for that kind of cold. I don’t think any Texan is ever prepared for that kind of cold. Ouch. Anytime we are somewhere that a bear could possibly grace our presence Mr. TCP is on HIGH ALERT. He is terrified of them. I guess for a good reason. My dad gifted us a few cans of bear spray and with it came a brochure on ALL THINGS BEARS. Mr. TCP read it front to back and then recited it to me. A few different times. The next day when we were hiking Pine Knot trail he reminded me of the various things we can do to escape a bear, if they get past his spray, one of them being to turn and run. Hopefully faster than the person you are with. Kidding. 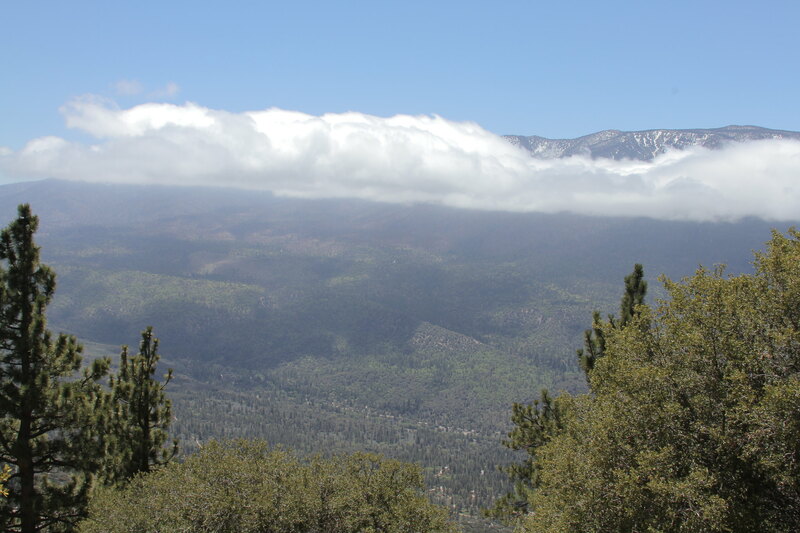 We hiked out to what is called Grand View Point via the Pine Knot trail which winds alongside Big Bear Lake. I think total it was around 7 miles. Really, it should have been a 3 mile hike to Grand View Point and then another 3 miles back to the trailhead (where the Tahoe was parked). But we got lost. Nothing new there. 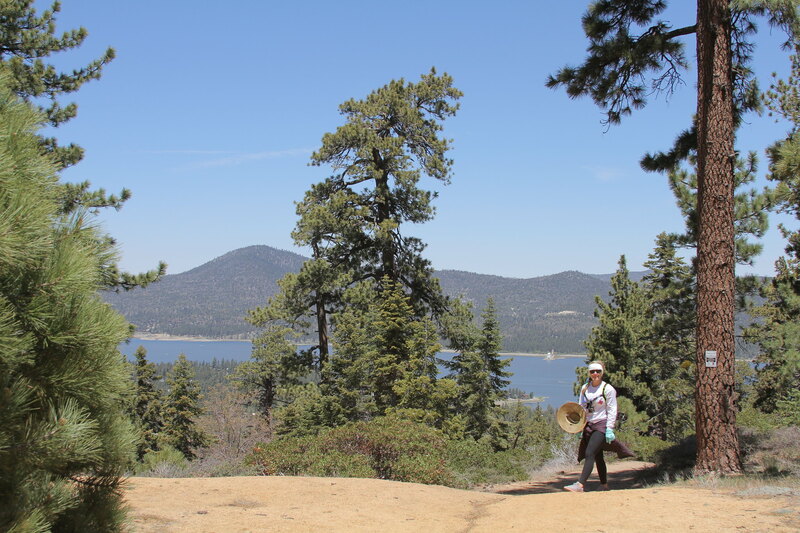 Instead of hiking back down the same trail, Pine Knot, to the truck we took a different route, Cabin Trail, which lead us to some pretty stellar view points of Big Bear Lake. All in all, it wasn’t a super challenging hike but it was filled with amazing scenery and a lot of laughter. 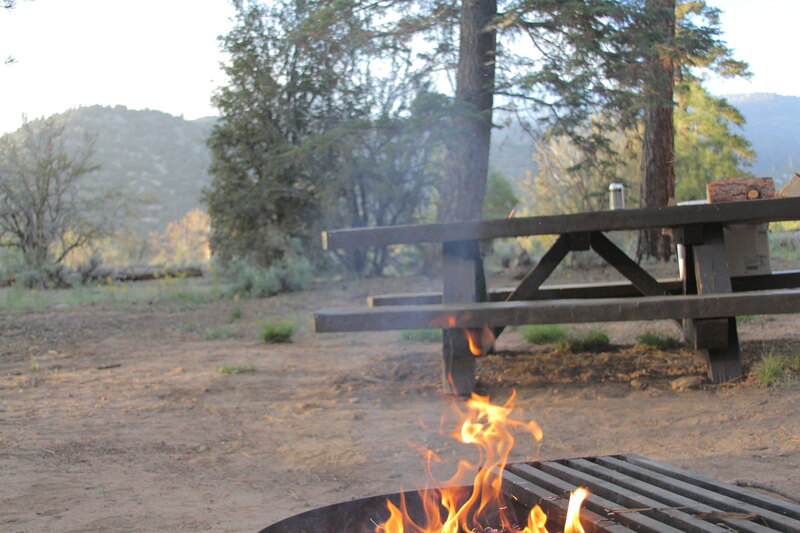 All in all, I would say Heart Bar Campground is in our top 5 of favorite places to stay. If we would have had strong enough service we would have stayed through the week.